The big picture: As robots become more prevalent in the workplace, so do the risks of accidents caused by malfunctions and human error in working with the machines. Amazon is well aware of these dangers and over the last year has deployed technology to help robots safely interact with humans. Amazon has been working to improve safety conditions in its facilities over the last several years. Just this last year the company has implemented a new device which will help robots recognize human workers in order to avoid collisions. The wearable is called the Robotic Tech Vest, but it is more like a belt with suspenders than a full vest. 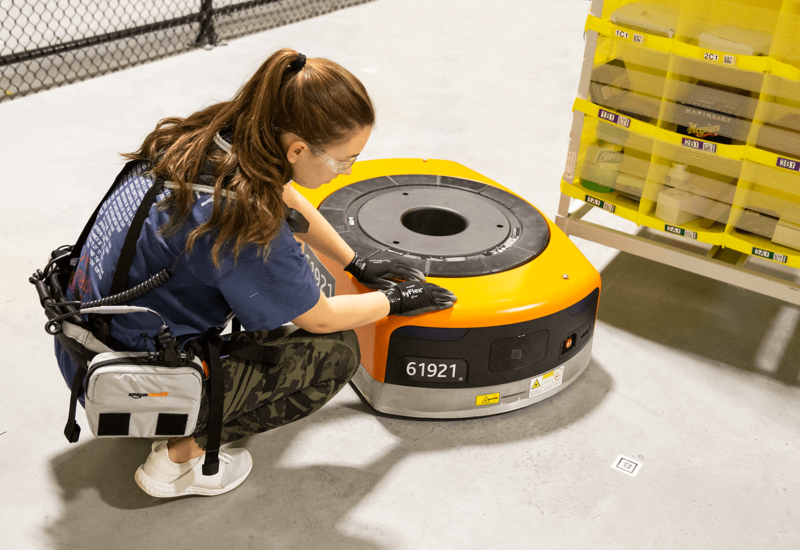 It was designed by Amazon Robotics primarily for workers who need to enter certain areas to fix robotic systems or pick up items that have fallen. The vest has beacons that let facility robotics systems know that a human is nearby, TechCrunch notes. The robots will then slow down to avoid collisions with humans. The feature works in tandem with current obstacle avoidance systems. Amazon Robotics VP Brad Porter explained how it works more explicitly. Amazon has faced fierce criticism over safety not only within its distribution facilities but also within the facilities of its suppliers, and not without cause. Just last month, several workers were hospitalized when a robot accidentally set off a canister of bear repellant within a confined space in a fulfillment center. While the new beaconing vest will not prevent a robot from puncturing a can of pepper spray, it will address the Occupational Safety and Health Administration's (OSHA) primary concern — the when and where of the preponderance of robot/human accidents. Amazon has deployed the technology in over 25 sites so far. Porter says that tests of the vest have proven very successful with over one million unique activations.